Call our office to learn about the latest available properties. We receive many exclusive listings that you won’t find anywhere else. Tell us what your specific needs are and we will work with you to help you find your next home. Trust our experienced team of professionals to manage your properties and protect your investments. Looking for a new home can be frustrating and time-comsuming, but it doesn't have to be! Avanguard Realty can help you make this a worry-free experience. We are committed to providing prompt, professional and highly personalized service. We respect your needs and requirements as we work to find the best home for you. Our residential rental listings include apartments in private houses and in commercial buildings. Most properties are located close to public transit, which makes commuting to Manhattan fast and easy. 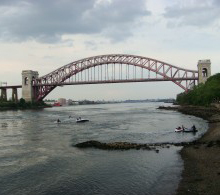 Astoria is a safe and vibrant neighborhood with a lot to offer. You will find many opportunities for shopping, dining, relaxation, and fun. We are happy to introduce and welcome you to the area. We regularly receive exclusive listings - a testament to our good reputation and established relationships with landlords. Exclusive listings are not available online or through other agencies. 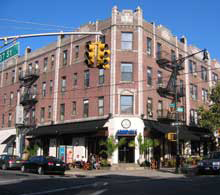 Please, you can contact our office at 718-545-0595 to inquire about available properties.